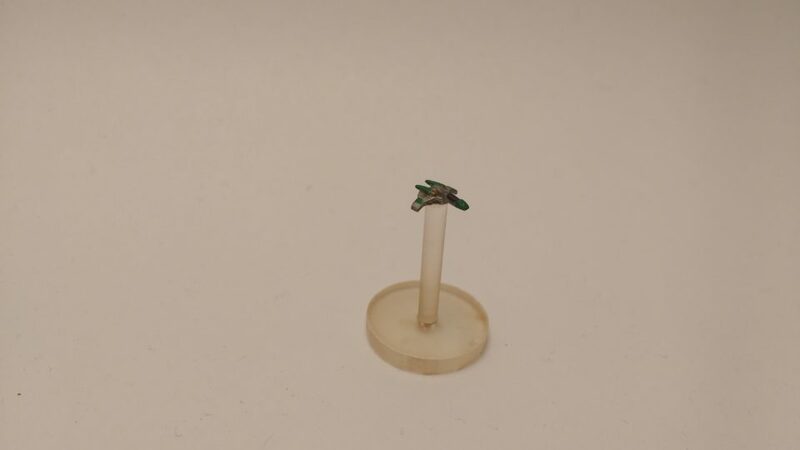 The FED Falcon Starfighter from Studio Bergstrom is the smallest miniature that I’ve painted to date. It’s a classic single pilot spacecraft that, at least for me, evokes the X-Wing from Star Wars and the Arwing from Star Fox. The 3D model on the website has a Trekkie vibe to it and it’s easy to imagine it fitting in there…if fighters were featured more prominently in that universe. In any case it’s definitely a great fit for Starfinder and I could see it being very popular among the lone wolves who don’t want to fly in the same ship as the other party members (which, of course, is not a great decision on their part but hey…I know someone will want to).